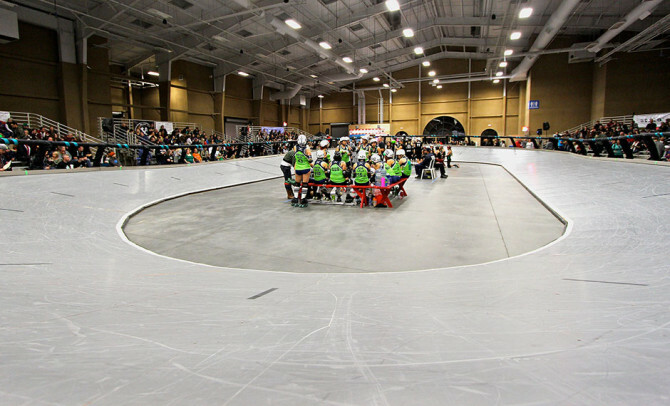 In this off-skates round table, participants will get together to discuss different issues around banked track organizations covering topics from where to start and business structure options to bout production and on-skates training. Excerpt from article written for Banked Track News. Book interleague games with other banked leagues and have good experiences with them. The Track is Up… What’s Next? Take the time to soak in the accomplishment. Now for the bad news… Building the track was the easy part. Build a strong foundation that will last. Lastly… KEEP GOING! YOU CAN DO IT! WE’RE ALL HERE TO SUPPORT YOU!